In this tutorial, we’re going to use IoT-Ignite SDK for connecting our device to IoT-Ignite cloud. Make sure IotIgniteAgent app is installed on your device. 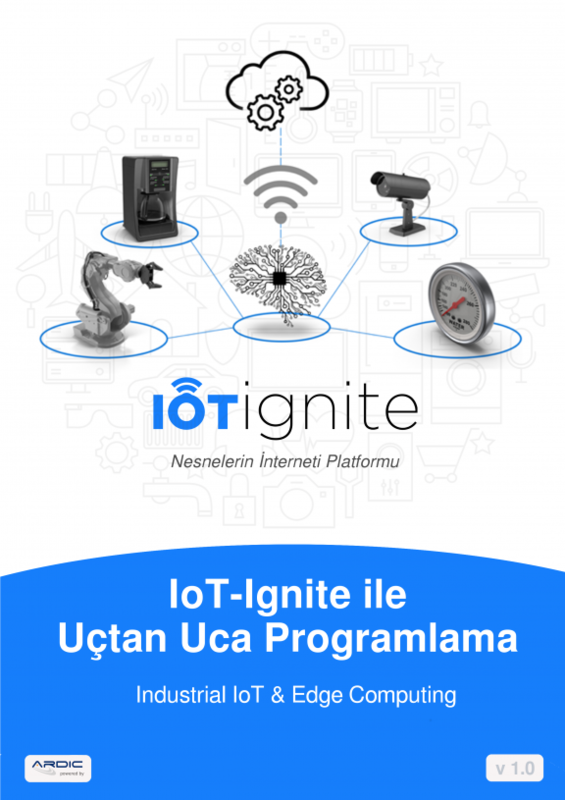 Also, your device must be registered to IoT-Ignite. 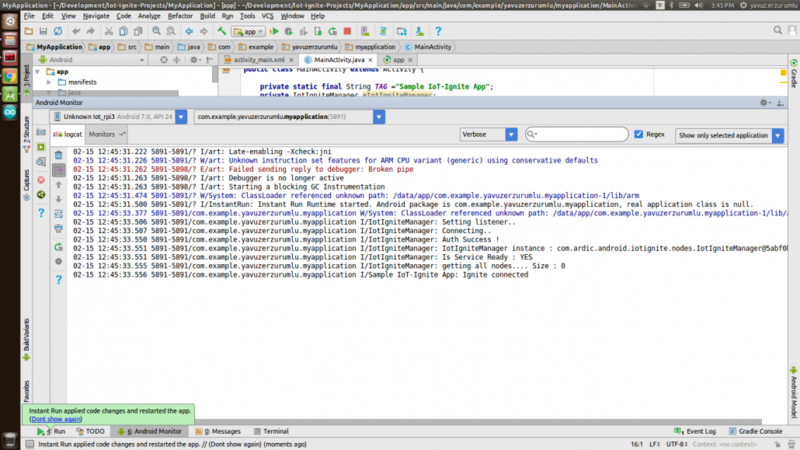 Add this code block to your application’s MainActivity->onCreate() function. * Sample code for connect to IoT-Ignite cloud. Builder().setContext(Context appContext) : IotIgniteManager using your app context for differentiate you from other apps. Builder().setConnectionCallback(ConnectionCallback cb) : Connection callback for IoT-Ignite connection.onConnected() function triggers when connection established. IoT-Ignite Agent App is not up to date or your application is using the newest version of IgniteSDK. Solution: Update your IoT-Ignite Agent application to the latest version. Your app is using an old version of IgniteSDK but IotIgniteAgent app is the newest version. Solution: Use the latest version of IgniteSDK.